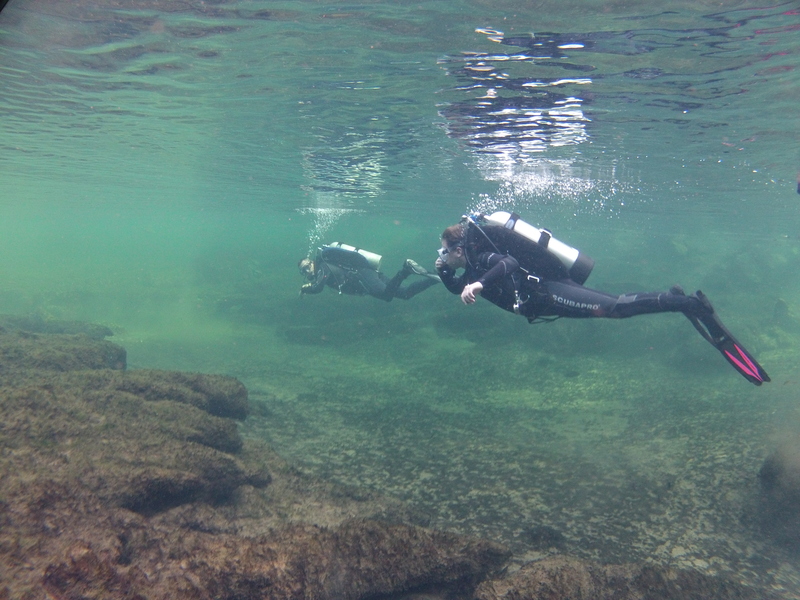 Paul and Janele Scuba Diving together at Troy Springs Open Water class. Paul checking on Janele as they swim out toward the ribs of the sunken Steamboat called the Madison. They saw a lot of friendly Turtles swimming around the Spring today.